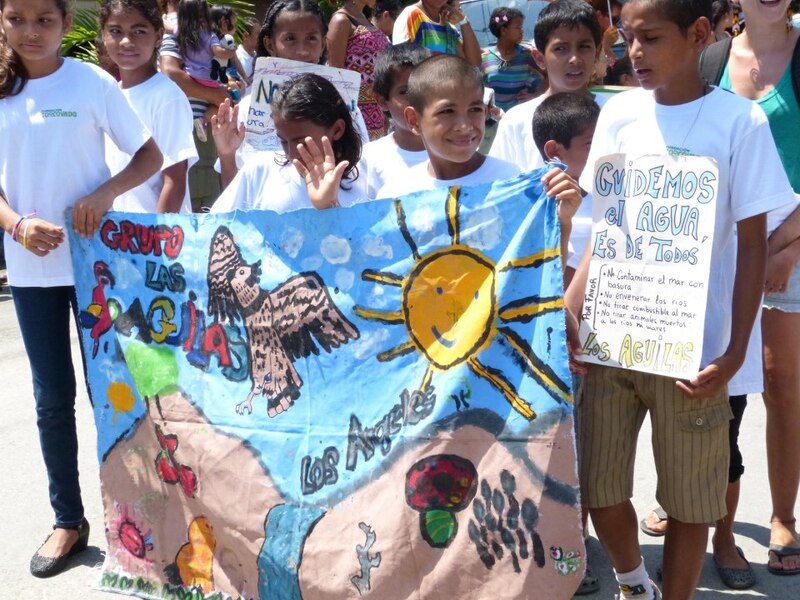 On Saturday, May 11th, we celebrated the Festival of Water in the community of Puerto Jiménez. The event began with an opening parade, in which the students carried signs with messages promoting conservation awareness and the responsible use of water resources and were accompanied by a happy band of students from Puerto Jiménez Technical High School. Students from more than six different schools in the Osa Peninsula participated and entertained themselves with plays and presentations by other students. The ICT’s Jacinto Basurilla show drew laughter while at the same time instilling in its participants respect for pets and environmental responsibility. The students of Escuela La Orquídea (The Orchid School) of the Palo Seco community surprised us with their play “the droplet of water”. 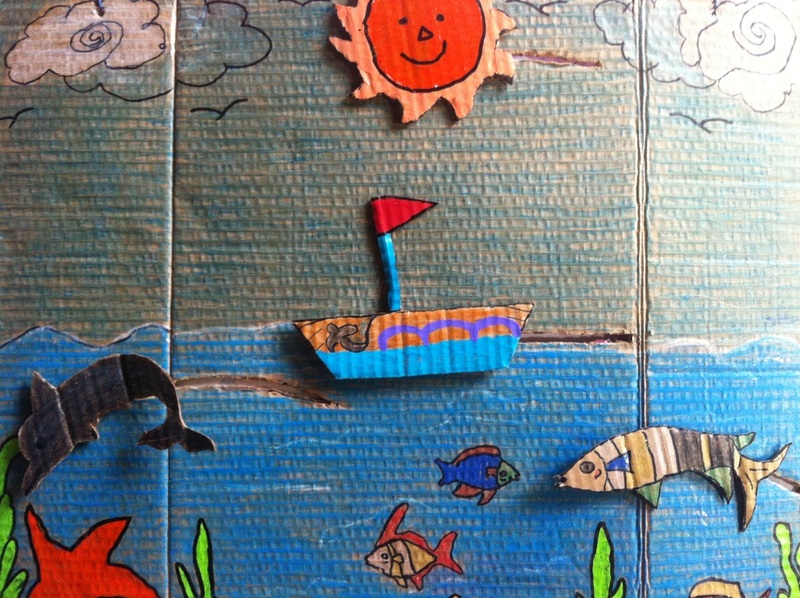 Many students participated in the art contest with the theme “Water, source of Life”. For this they created projects, models and very creative drawings representing the importance of this valuable resource for all living things. There were prizes for the best work–the students from The Orchid School won the first prize trip to Caña Blanca Wildlife Sanctuary. About 30 people, from officials of the Osa Conservation Area to administrators of ASADAS, to members of the Communal Front for the Golfo Dulce, to representatives of the Municipality of Golfito, to Non-Government Organization representatives to neighbors of the Puerto Jiménez community attended the forum “The real situation of water resources on the Osa Peninsula”. These individuals knew about the latest studies of the bodies of water of the Osa Peninsula, the impact that runoff is having on whale populations in the Golfo Dulce and about the Legislative Agenda of Water and its scope towards the access to water as a human right. 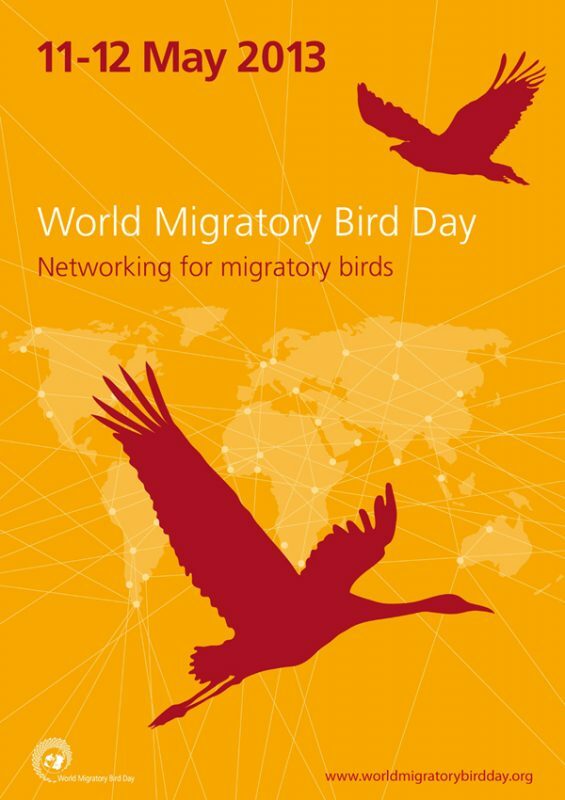 World Migratory Bird Day is celebrated during the month of May in over 80 countries. This celebration began in 2006 and is an awareness campaign about the conservation of migratory birds and their ecosystems throughout the world. Every year the campaign focuses on a theme; for this year, 2013, the theme is “Creating networks to conserve migratory birds”. 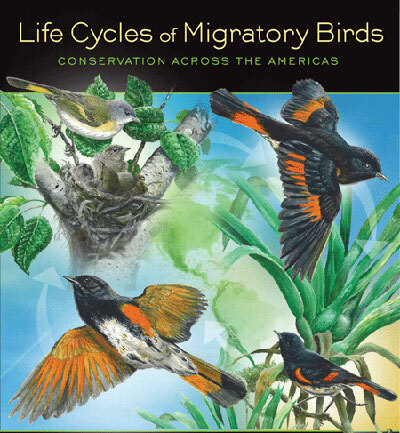 This theme aims to raise people’s awareness of the importance of the networks or connections among ecosystems, and to preserve the health of the indispensable habitats for the lifecycle of migratory birds. These habitats are key sites in the migration routes and permit them to travel great distances, nevertheless, human activities have caused these habitats to deteriorate and disappear causing a great threat to these species. Likewise, the theme refers to the necessity of creating and strengthening networks of cooperation among organizations and institutions, in order to implement effective joint actions to investigate, conserve and disclosure to ensure the survival of these species. While walking by the Piro River a few days ago on one of our patrols to ensure the protection of the Osa Wildlife Refuge, Agustín recorded an awe-inspiring video. The otter (Lontra longicaudis) resides in healthy rivers and streams that have an abundance of fish and crustaceans to eat. This aquatic mustelid can weigh up to 9 kilograms (nearly 20 pounds) and grow to 1.2 meters (nearly 4 feet) long. It lives on the Banks of rivers in caves that have entrances located under the water. Due to the ecological needs of this animal, the presence of otters is considered to be an indication of a healthy aquatic ecosystem. Disgracefully, due to water contamination and the destruction of riverine (riverside) forests, the otters’ habitat has been reduced and populations have declined to the point that it is now considered to be an endangered species in Costa Rica. You can help address this issue by supporting Osa Conservation’s reforestation and other conservation projects.